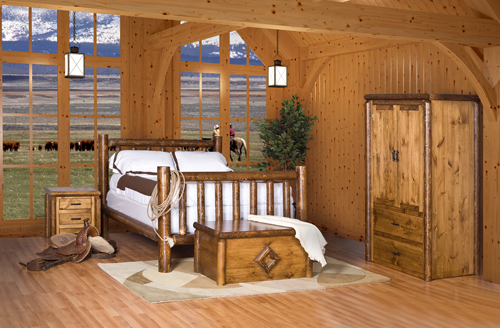 Our log bedroom sets can complement many types of casual themes. 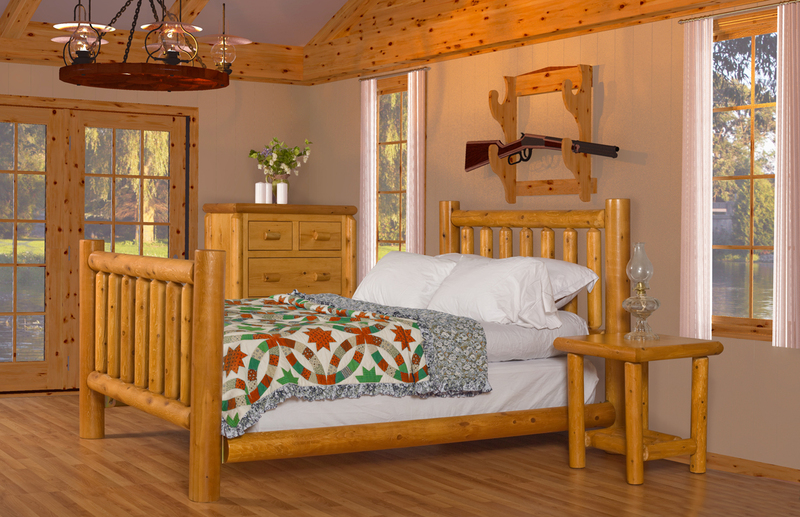 Made in Ontario, Canada this rustic log furniture will be a great addition to your cottage, chalet or home. 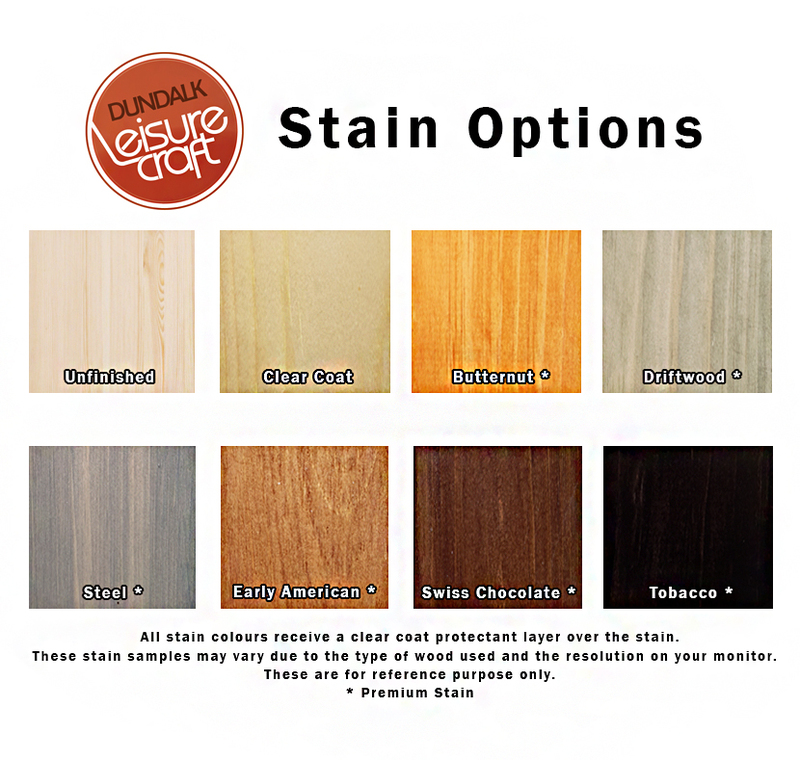 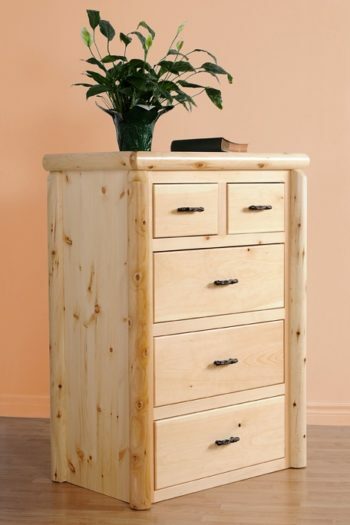 We use solid Canadian white cedar logs for all indoor furniture trim, the tops, sides and drawers are made with white pine. Any of our log beds will work with the Mountain Lodge Collection. 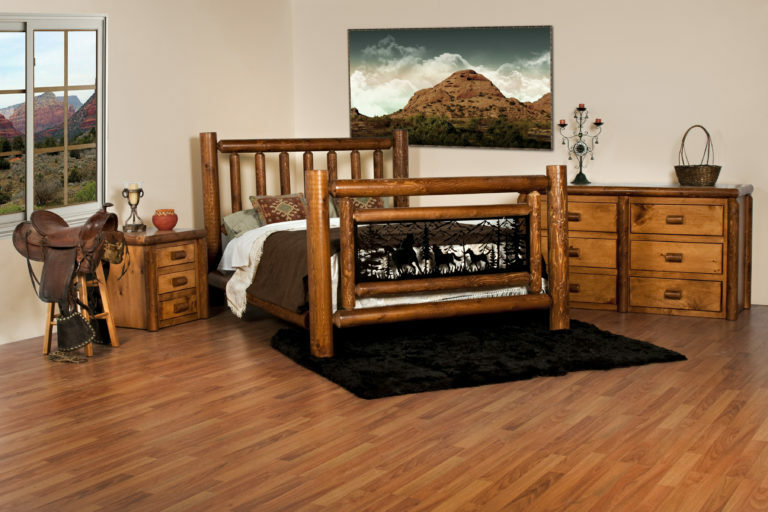 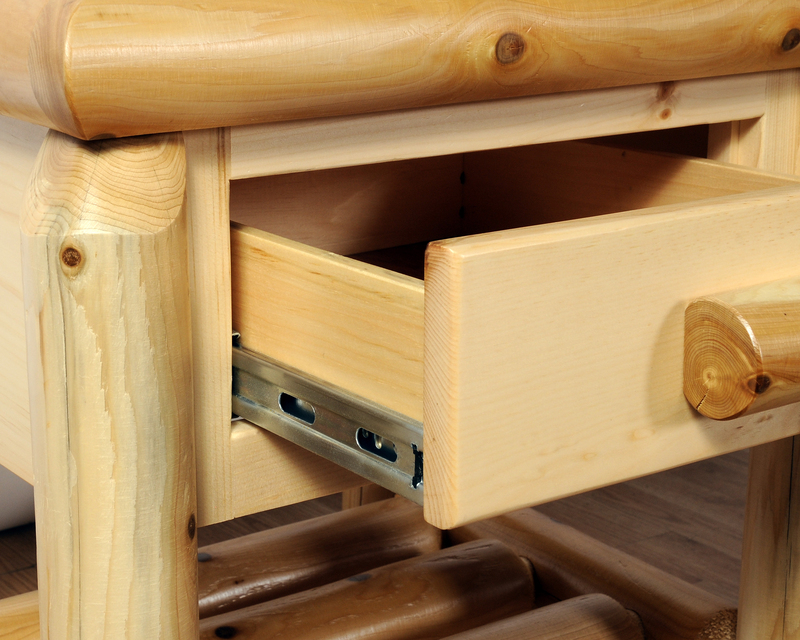 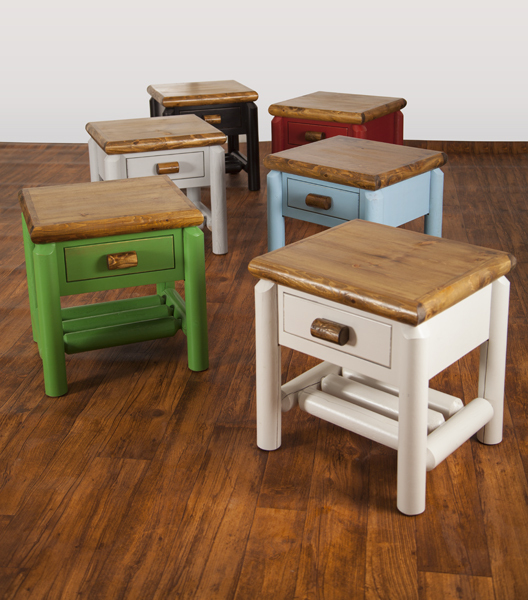 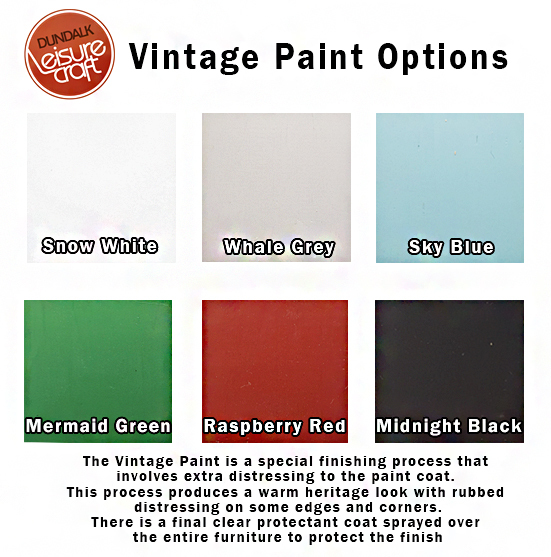 The main characteristics of the Mountain Lodge Collection are the doors/drawer are inset (flat with the front), the tops are trimmed with logs and the bottom is flush to the floor. 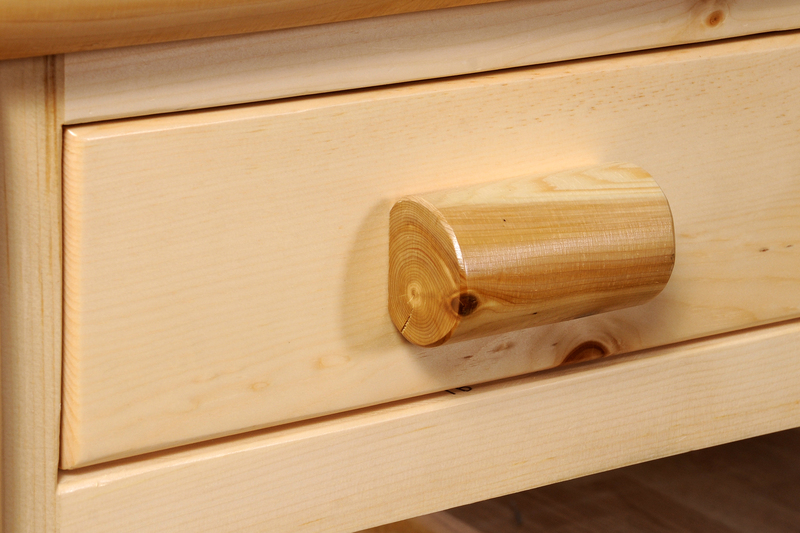 We use solid Canadian white cedar logs for all indoor furniture trim, the tops, sides and drawers are made with white pine.